According to App Annie, mobile will take over 60 percent of worldwide gaming revenue. Mobile phones and PDAs are the average person's livelihood in today's society. Everyone, from Grandma's to business executives to teenage school kids, has a "smart mobile device." These tablets, smartphones, and ultra-mobile PCs have a lot to offer their users; whether one is looking to be entertained, informed or to make money, these tablets and smartphones can seal the deal. Today, we are so involved with our mobile phones that the majority of our tasks have now become digitized. For instance, a person can easily watch a movie, read a book, shop online and even gamble from a place as obscure as their doctor's office. And to make this happen, all one needs is a data plan and a suitable device. In order to make this point more clear, let’s take the example of online gambling in virtual casinos. The above image shows the growth of estimated mobile gaming revenue from the year 2017. 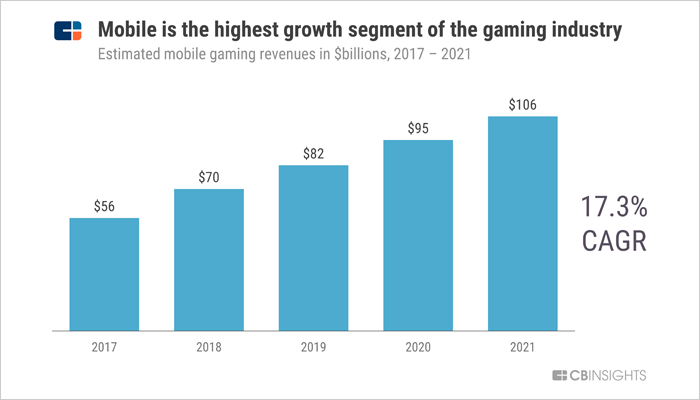 As per the statistics, the overall mobile gaming revenue will cross the threshold of $100 billion. This is one of those mobile gaming sectors that has been gaining popularity for quite some time now, but the thing with the mobile casinos is that they are just entering the playing field. Websites need to be modified for use with a mobile device because the processor and screen size in mobile applications are more compact on a mobile device than on a standard computer. Online casino sites are no exception. Looking at the track record of the past couple of months, one thing is for sure. Gaming sector is on its way to becoming one of the largest mainstream online industry and mobile casinos along with online gambling and virtual reality are primarily contributing to this growth. Since mobile casinos are on the rise, the availability of choice is somewhat limited; Still, there are plenty of mobile device users who gamble already, and certain sites are better than others. Unfortunately, not all casinos are available to everyone. Different countries have different gambling laws and provisions, so while a site might be used to gamble in one country, it might be prohibited or illegal to be used in another. The United States seems to have the strictest online gambling rules to date. It also seems like the mobile gaming industry is gaining more support from the mobile app programmers and game developers due to the increasing scope of in-game purchases. 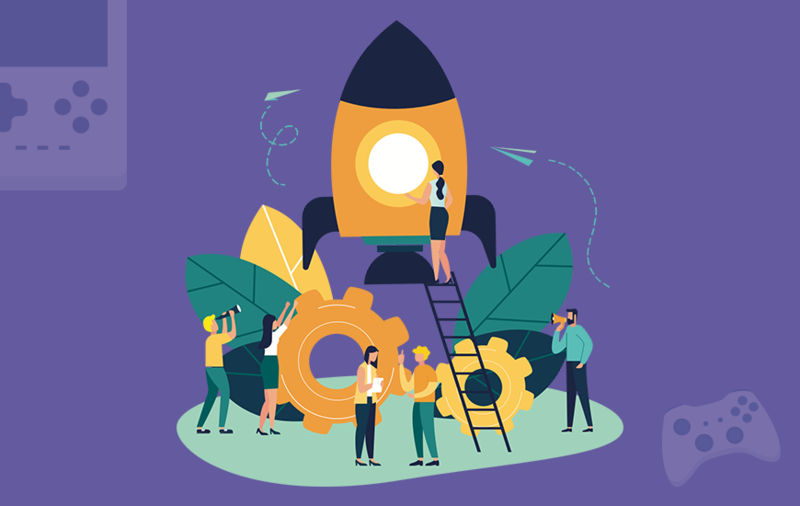 It can be concluded by the year-on-year growth of this business model that end-users do not see any issue in spending additional money, especially when they can receive some extra rewards or credits in the online games. Currently, the United States seems to have the strictest online gambling rules to date. But now some of the top virtual mobile casinos are open to UK residents for the most part. One such casino is Casino Heroes, a widely accessible casino with a variety of games and quick cash deposits. In such online gaming opinions, players also get plenty of perks in conjunction with the chance to win in slots, poker, sports betting etc. which is exactly what users today are looking for. Also if you are someone who is interested in reading more such articles regarding mobile gaming trends that make sure you follow MobileAppDaily. To be notified of all the latest updates, all you need to do is click on the ‘Subscribe’ button.